EBU lightweight champ Emiliano Marsili (31-0-1) will make his mandatory defence against Edis Tatli (23-1) at the Ice Hall in Helsinki, Finland, April 24. The parties came involved reached an agreement earlier today (March 16) and thus avoided purse bids. The show is promoted by Mennea OY. 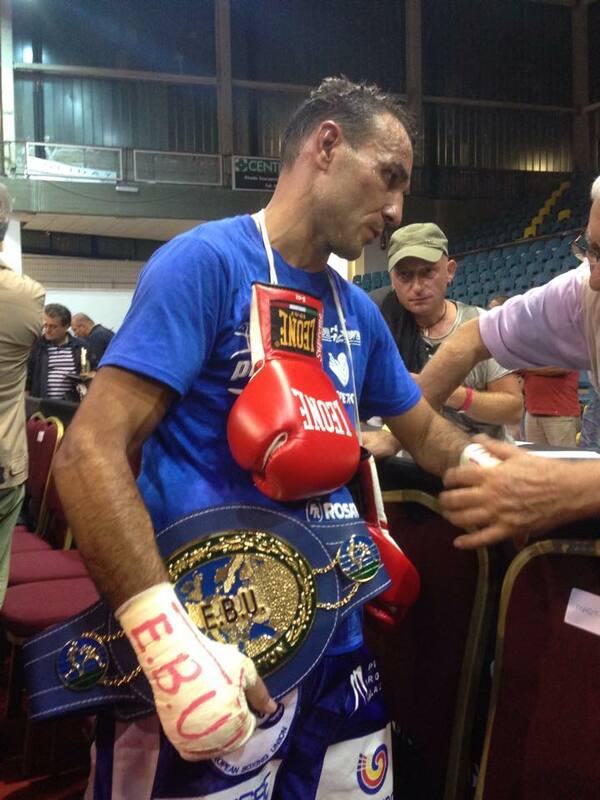 Tatli’s sole loss came when he was in against WBA champ Richar Abril last year. For Marsili (pictured) this is the fifth defence of the title he won in 2013 by stopping Luca Giacon in two. French middle champ Karim Achour (18-4-3) is also mandatory challenger for the vacant EU title along with Mouez Fhima (22-4-2). The EBU have set April 16 as date for purse bids. Achour and Fhima fought to a heated draw in February with the French title at stake. Achour also have a defence of the national belt coming up for April 4 in Saintes against Jonathan Bertonnier (18-13-3). 41-year old former WBC superlightweight champ Junior Witter (43-7-2) continues to plug away and next up is a shot at EU welterweight title held Frenchman Ahmed El Moussaoui (21-1-1). The fight goes ahead April 17 in Cannet Cote d’Azur (France) with Univent Production promoting the show. Witter held the WBC title 2006 through 2008. Cruiserweight Agron Dzila (21-1) takes on Bernard Adie (12-2) with the vacant GBU title at stake on the undercard to Juergen Brahmer vs Robin Krasniqi March 21 in Rostock. Also on the bill is supermiddle Stefan Haertel (4-0) who is in against Ukrainan veteran Volodmyr Borovski (21-57-2) in a scheduled six-rounder and British lightweight Ohara Davies (6-0) who face Pole Jacek Wylezol (11-7).